Plastic boxes: those unassuming storage containers, no more than a bit of polystyrene, simple, sturdy, silent. If a plastic box is doing its job, it’s hardly noticed at all. It becomes a seamless extension of the contents inside, whether a gift or showpiece, whimsical party trinket or expensive piece of specialized equipment. The best plastic boxes are seamless and crystal clear, offering no distractions, letting the contents do the talking. But the very best plastic boxes are customized and tailored to the product inside. Here are some ways that the simple, humble plastic box can be customized to suit your precise storage, shipping and showcasing needs. 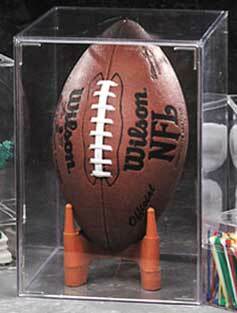 Plastic boxes come in a spectacular array of sizes, from mini one-inch-by-one-inch hinged containers for items like medals, trinkets and charms, all the way up to boxes large enough to showcase a professional football at more than 12 x 8 inches. Combine that with all the possible shapes – round, square, and rectangular, tall enough to serve as a flower vase, short enough to hold a baked brownie, and even flat enough to hold a single playing card – and the customization options are vast. Wondering just how versatile plastic boxes are and how diverse the products that are kept inside? Our OMNI 4-inch square is ideally suited to hold a watch, while this small round container is a favorite for charms and necklaces. 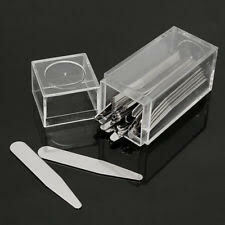 There are plastic boxes for false eyelashes and plastic boxes for storing collar stays, boxes for makeup and boxes for nail polish. But it’s not all about fashion! Our plastic boxes are just the right size and shape for many beloved food items, too. From boxes that hold collections of candy to boxes that hold a single treat, they are all food-safe and BPA-free. There are plastic boxes for toys, for hunting calls, for photographs, for belts. There are boxes for high end lab equipment and specialized medical components. Boxes for orthodontists and boxes for musicians. We could list them all day! If you want to browse our full selection you can download a catalog here or simply browse our website. Or if you have a high-volume need for a unique size and shape, we can build a custom steel mold precisely to your specifications. Size and shape aren’t the only options when it comes to box style. There are three lid types that can serve different purposes, too. 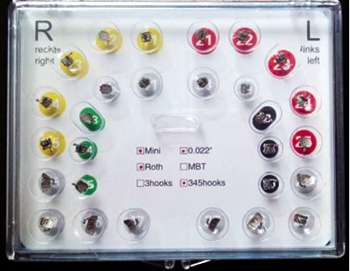 Hinged lids are integrated into the box and are easy to snap and unsnap for access to small parts, jewelry, toys, electronics components and more. Flush lids create the most seamless experience and are often selected for the beautiful way that they showcase collectibles, gifts and specialty food items. Raised lids create a stylish seam on purpose, providing an easy lift-off experience for retrieving items like collar stays and golf tees. Choice of lid type along with size and shape gives you the flexibility to select a plastic box that is best suited to the size, shape and needs of your products. 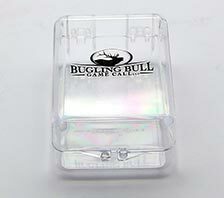 One of the best ways to make a plastic box truly your own is to have it imprinted with your logo, company name, text message, or special artwork. Use imprinting as a branding experience, or to add a touch of design to your boxes for visual appeal. There are different imprinting methods to choose, from hot stamping with metallic foil options, to silk screening for large images printed close to the edges, pad printing to match specific PMS colors and even digital printing with detailed graphics. You can choose from 20 standard foil colors, including metallic gold and silver, plus 25 standard ink colors. Mix, match and combine in whatever way suits your message, your branding and the experience you want to create. Yes, our plastic boxes are crystal clear – but they don’t have to be! They can be completely opaque, in solid white or black, or a semi-transparent color from anywhere on the rainbow. Opaque boxes afford you a number of possibilities, namely, providing a printable surface area that allows for a much more artistic approach that won’t conflict with the product inside. It can also conceal contents when necessary. Boxes in semi-transparent reds, purples, greens or other colors can open up creative avenues for organizing product lines and collections. For high volume orders, we can PMS color match to your specifications and design a resin color that is uniquely yours. Whether you choose boxes that are round or square, tall or short, wide, flat, narrow or anywhere in between, you can add a custom insert to secure and showcase your products. Inserts have options, too. Flockboard is commonly chosen for its sturdiness and its velvety look to showcase jewelry from necklaces to earrings, pins, and rings. It can be further customized with pinholes to properly secure whatever is inside. Flockboard comes in a variety of colors, too, depending on the look you want to achieve. Ether and ester foams are popular for softly and securely cradling their contents, from collectibles like signed baseball cards to delicate items like musical instrument parts. These foams are especially favored for their ability to be die cut to exacting specifications. With custom-cut foam, you can artfully contain everything from an elegant bridal gift to a pair of lucky dice. Foams also come in a variety of colors, textures and thicknesses, allowing you to customize your product containers to match your storage and display needs. Yet another type of foam is anti-static foam, which is specifically designed to protect electronics components, from the tiniest memory chip to the most sensitive medical equipment. Conductive foam is impervious to mold and mildew, making it an effective shock absorber and thermal insulator. We even produce special acrylic inserts with holes that are designed to secure flower stems. If you’re feeling creative, you can even use them to hold other stems – like lollipops or slim straws. An individually baked brownie is nice. But a stack of them is better! Any of our boxes can be stacked with like boxes, or combined with other sizes to create towers of gifts or special items. The execution is limited only by your imagination. Fill a series of 4×4 OMNI boxes with a favorite treat like various popcorn flavors, nuts or dried fruits, then stack, tie with a ribbon and you’ve got a gift worthy of any celebration. Or switch it up and stack a 2×2 on top of a 4×4 for visual variety. You can even get really creative and stack two 4x4s next to an 8″ tall OMNI! A bit of shrink wrap or an expertly tied ribbon and you’re on your way to a successful product display. 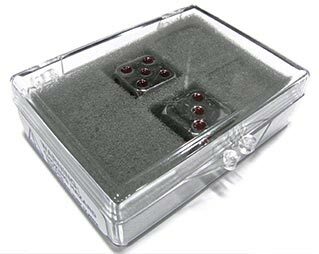 From the size and shape, to the lid type, colors, inserts, imprinting, and mix-and-match capabilities, our plastic boxes can be configured for a uniquely personalized experience. If you have a product to ship, store, protect or showcase, let us know. We can help you select the right box for your needs, or work with you to customize a solution that works.